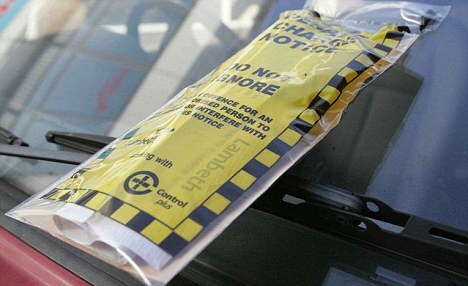 As many as 8million parking tickets are issued annually in the UK. 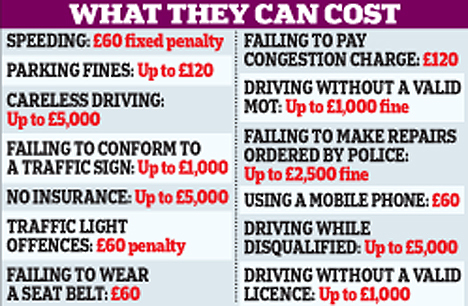 Only a fraction of these are contested but there is strong evidence many more drivers could beat their fine. Of the millions of Penalty Charge Notices (PCNs) issued each year, only a few thousand are appealed by drivers. This is despite the fact that as many as 65 per cent of appeals are upheld and the fines are then withdrawn. Many appeals are not even contested by local councils. Sometimes councils will not contest appeals purely on the grounds that they want to clear a backlog. All this means that, more often than not, drivers are beating the traffic wardens when they appeal. When you get a parking ticket, formally known as a Penalty Charge Notice, you have the choice of paying within 14 days, in which case the fine is halved, or appeal the ticket. The size of the fine depends on the offence committed. The typical fine for parking in the wrong place is £120 but this is halved to £60 if paid within 14 days. To appeal the ticket you need to send a letter to the council explaining that you are challenging the ticket, and why. *IMPORTANT ‘ This is likely to be the last chance for you to pay the ticket at half-price. If you write to the council to appeal, the process may take you over the 14 days and the fine will be the higher amount. You can ask for the fine to be frozen at the lower amount until a resolution of the appeal, but there are no guarantees the council will grant you this. If you are not confident of your appeal, it will cost less to pay now. The council will either accept the challenge, and withdraw the fine, or will reject the challenge. If they reject the challenge they will send you a Notice to Owner form for you to make formal representations. You will then have 14 days to make these formal representations. This is where you set out why the ticket should be rescinded. The council can accept your representations, and drop the fine, or can reject them. In which case, you will be sent a Notice of Rejection of Representation and Appeal Notice form. You will then have 28 days to lodge your appeal with the Traffic Penalty Tribunal (Parking and Traffic Appeals Service, in London). This is independent from the council and will decide on your case. 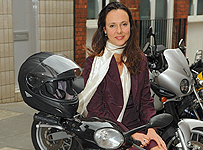 You need to be aware that the fine will increase by 50 per cent if you fail in your appeal. The legal grounds for appeal are as follows, and you must put your reason for appealing into one of these categories. 2. The penalty exceeded the relevant amount. 4. I was not the owner of the vehicle when the alleged contravention occurred. 5. The vehicle was taken without my consent (e.g. stolen) at the time the alleged contravention occurred. 6. We are a hire company and have supplied the hirer’s name and address. This one is straightforward. Fines are directed to the registered owner of the vehicle. For cars that have recently been bought or sold, the Notice to Owner will be sent to the person who is registered as the owner at the Driving and Vehicle Licensing Authority (DVLA). If you have sold you car, the seller may not have updated the DVLA, so you should do it. If you are appealing a ticket on these grounds, you need to provide contact details of whoever bought the vehicle from you, or whoever sold it to you. If you are appealing on the grounds your car was stolen when a ticket was issued, you will usually be required to provide a crime reference number when you appeal. If you are fined by a parking attendant, rather than a private company, the penalty will be either £70, dropping to £35 if paid within 14 days, or £50, dropping to £25 if paid within 14 days, depending on the nature of the offence. Fines issues in London can be either £80, £100, or £120 – halved if paid within 14 days. If your ticket exceeds these amounts you should phone the council to see if there is any reason why the ticket is more. If the fine exceeds the standard amount applicable in the area, you can appeal. See below for advice on tickets from private companies. It used to be the case that if you received a Notice to Owner in the post, but no ticket was applied to your car, then you could appeal. For a ticket to stand, previously it had to have been physically applied to the car. So if you return to your car and find that a parking attendant is in the process of writing a ticket, you could drive off without being pursued for the offence. The attendant might say ‘I have already started writing the ticket’, or may ask that you wait while he completes it, but you are not required to remain at the scene. Note that this only applied when the ticket is being issued by a parking attendant. Police officers and traffic wardens can also issue tickets, although the overwhelming majority are handed out by parking attendants. Changes in the rules for parking tickets in April 2008, meant that this defence no longer applies, and councils may now send you a ticket through the post. However, if this happens the first thing you should do is request photographic evidence of the contravention. If the council cannot supply this, then you can argue the contravention did not occur. Check the photo carefully against the actual area. Has it been cropped to make it misleading, does the picture actually show a contravention, is it marked with date and time, does it definitely show your car? In many instances, there may not be sufficient proof. If a parking ticket is not paid within 14 days, a Notice to Owner is sent. If The Notice arrives more than 6 months after the alleged offence, you can appeal. If you had a ticket or permit to park when you got your parking fine, you can appeal. Parking attendants often take pictures of offending vehicles to show that a valid ticket was not displayed visibly, so be sure that you still have the ticket if you want to appeal. – The reason for the ticket. – A statement that the penalty must be paid within 28 days, beginning with the date of the Penalty Charge Notice. – A statement that if the penalty is paid within 14 days starting from the date of the Penalty Charge Notice, the amount of the penalty will be reduced by a specified amount. – A statement that if the penalty charge is not paid before the end of the 28 day period a Notice to Owner may be served by the local authority on the owner of the car. – The address where the penalty charge must be sent. If any of these are missing, you can appeal. This is a common complaint, and can prove a successful way to challenge your parking ticket. Councils must provide clear signs on each and every road entering an area where parking is restricted. Once inside an area with parking restrictions, there is no obligation on the council to put signs next to every yellow line, unless there are restrictions on one particular road that are different from the rest of the restricted area. All signs should be clearly visible and show the hours when the restrictions are in place. You should check all the roads entering the area where you received your ticket. Check that there are signs on both sides of the road, and that the signs are not too small, faded, or covered by branches. All these can be reasons to invalidate a parking ticket. If the restriction is particular to one street, rather than a whole area, each yellow line should have a sign on every lamp post. If there is a gap of more than 60m between lamp posts, there should be a signpost. All single and double yellow lines have to be continuous, unbroken and must end in a ‘T-bar’. If there are breaks in the line, or the line does not end in a T-bar (except where the line is broken with other road markings), this can invalidate any ticket given anywhere on the line. Where there are parking bays at the side of the road there must be signs every 30m along the road. There should also be signs within 5m of each end of the parking bays. If you want to appeal your ticket on the grounds that signs were not visible or absent, you should take photos of the signs, or the lack of them, to support you argument. Tape measures at the ready. If your ticket was for ‘parking outside of a marked bay’, you should check the parking space met the minimum width. By law, a parking bay must be at least 1.62m wide, measured from the edge of the kerb to the outer edge of the white line. If it is a double yellow line, loading and unloading of vehicles is not allowed at any time. However, if there is a single yellow line you can load or unload your vehicle for up to 20 minutes, unless there is a sign that says otherwise. Any tickets issued in this time are invalid. If there is a sign indicating restriction on loading and unloading, there must also be lines marked on the kerb at 90 degrees to the road. Some areas will have specific rules against parking for 20 minutes and then moving away and returning to the same spot. If you want to appeal against a ticket on these ground, check the rules in your area. If you are appealing on the grounds that you were making a delivery, it will help your case if you have a delivery note (for commercial deliveries) or witness statements from someone at the address that can confirm your story. Private companies can issue tickets to drivers parked on their property, but the rules are not the same as local authorities. If you receive a ticket in a private car park, such as a supermarket car park, or private multi-story car park, remember that it is not criminal law, but contract law that applies. The driver enters into a contract with the landowner when they driver into the car park. This means that it is only the driver that can be subject to a ticket from a private company. If they do not know who the driver was, they cannot claim a penalty. They have no legal right to demand that you identify the driver. If the company wish to pursue a claim in the small claims court, they have to prove that you were the driver of the car. Any comments that you make may assist them in this aim, so best to say nothing. If you refuse to pay, the private company has to pursue you through the small claims court. It is up to them to prove a breach of contract so look at the terms carefully. These are usually printed on a sign at the entrance to the car park. Additionally, you may be able to reduce any fine issued by a private company. Under contract law, they can only claim for any loss they have suffered because of your offence. They may try to claim a penalty of, say, £100, but in law they may only be entitled to any revenue they had lost. So, if you pay £2 to park for one hour, but stay for three hours, they can only claim for two hours of lost revenue, which is £4. Different rules apply if you are clamped by a private company for parking on private land. If you are clamped, you should ring the number the company provides to release your car. Do not damage the clamp as this would be criminal damage. Check that the company has a license from the Security Industry Authority by calling 08702 430 100. A 15-digit Security Industry Authority number should appear on the receipt they give you when you pay up. If they are not licensed, report them to the police. Areas where private clampers operate still have to display warning signs that are clearly visible. Take pictures of the signs if you feel they are inadequate and complain to the Security Industry Authority. Once you have settled on the grounds for your appeal, you need to decide on whether you will appeal by post or in person. Appealing by post means that you send your explanation and all supporting evidence to the Traffic Penalty Tribunal and they will simply examine it at the hearing. Otherwise, you are able to appear before the adjudicator when they decide your case. This gives you an advantage as the council will almost never appear before the adjudicator and is not able to respond to what you are saying. « 10 police and community support officers currently serving with the West Mercia force have a criminal record.